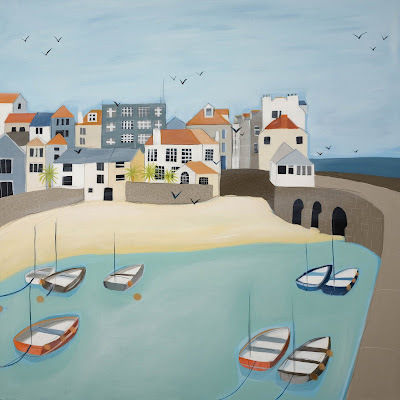 St Ives Harbour, did I ever mention my paintings are big, this is 90x90cm. This is also available as a limited edition print. Lots of little birds - yes I did commission the small swift, for my birthday, so pleased! Good to hear from you again.